Global law firm Baker & McKenzie has released a new report showing a sign of relief for struggling construction industry in Africa. The reports finds that there has been a narrowing of the funding gap for African infrastructure to about $25bn a year. Based on a continental need of $90bn worth of infrastructure spend annually, this is good news in the context of the globally struggling construction industry, and the gloomy state experienced by many JSE-listed infrastructure companies . The analysis also reveals that the state of affairs has remained static even with the narrowing down of the funding gap in over seven years that the world has experienced economic turmoil. In 2009, the World Bank estimated the need for an annual $93bn for continental power, transport, ports, water and sanitation projects, but that only about half of that was raised and spent. The analysis was first released in the UK last month and is an independent research by the Economist Group. It surveys sources of capital inputs for African projects based on interviews with development finance institutions (DFIs), export credit agencies (ECAs) and commercial banks. It assesses 22 African countries. Findings indicate that most funding is done by development finance institutions and export credit agencies. An estimated total of $328bn was spent on six main categories of African infrastructure between 2009 and 2014. The report also shows that private capital and commercial lenders fund only about $10bn of infrastructure annually, with private sector capital flows showing a growth by more than 300% between 2010 and 2013. Jen Stolp, a partner in the banking and finance practice group of Baker & McKenzie in Johannesburg says he has never come across a deal in Africa that is financed purely by commercial banks. She adds that China does the funding alone and that three-quarters of this comes from the Export-Import Bank of China. The money to close the African funding gap is there, she says, but the right environment for letting this happen is the major challenge. She attributes this to factors such as project risk, corruption, and increasing demands for local skills and enterprise development. China is the largest single funder, with Nigeria, Kenya, SA and Ethiopia being the largest recipients. South Africa received the bulk of development finance institutions and export credit agencies funding in the 2009-2014 period which amounts to about 28% of the total, worth $26bn. Nigeria came in second, followed by, Egypt, Morocco, Kenya and Ethiopia. But despite some impressive gains substantial the continent still lacks power, roads, water and irrigation. According to the report, 50% or more of the populations of about 24 countries in the sub-Saharan region still lack access to electricity grids. Chinese growth has however slowed considerably, along with that of Brazil, whose giant Odebrecht construction group is a big infrastructure player in Angola and Mozambique. The report also reveals the drop of Chinese imports by about 40% last year. Nigeria and SA have also recorded a drop in their currencies based on the fluctuating global mineral commodities. 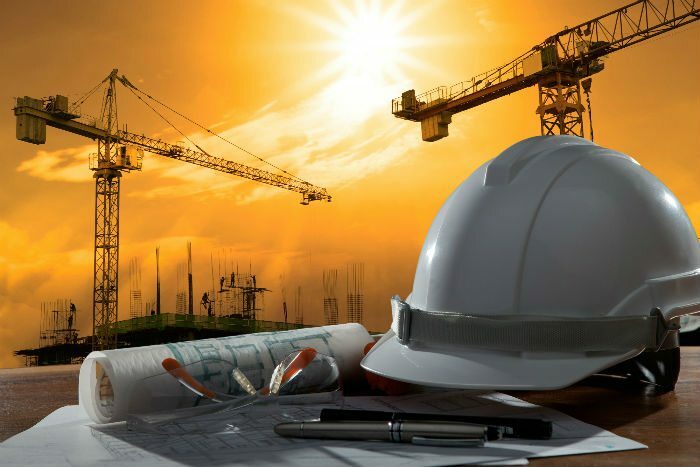 Global Credit Ratings, which focuses on emerging markets, has just issued a negative outlook for South Africa’s construction industry and according to senior corporate analyst, Patricia Zvarayi, factors such as low levels of public infrastructure spend, regulatory uncertainty, and falling global commodity prices have continued to bring turmoil in the sector. The sixth China-Africa co-operation summit took place in Johannesburg China-Africa co-operation last month and China committed $60bn to African development funding in the next three years.